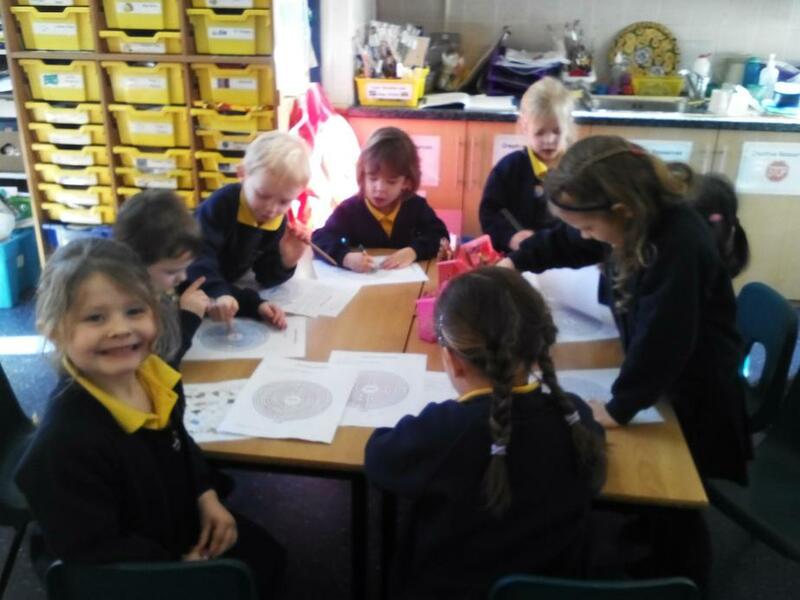 Today we have had another one of our reflective days. 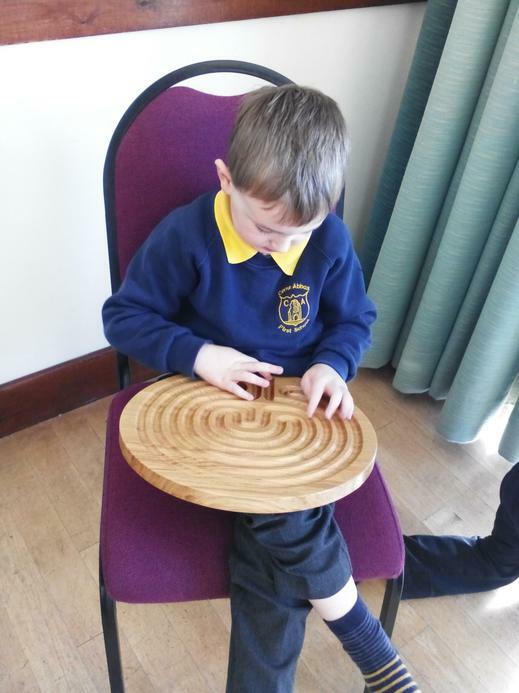 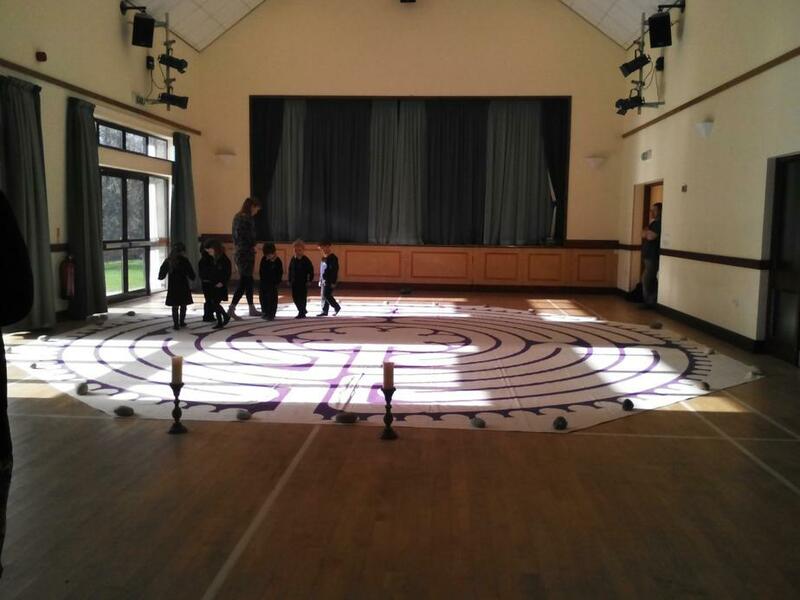 We had a wonderfully spiritual morning where the children were introduced to Labyrinths by Nikki and Nigel from the Peaceful Path Project. 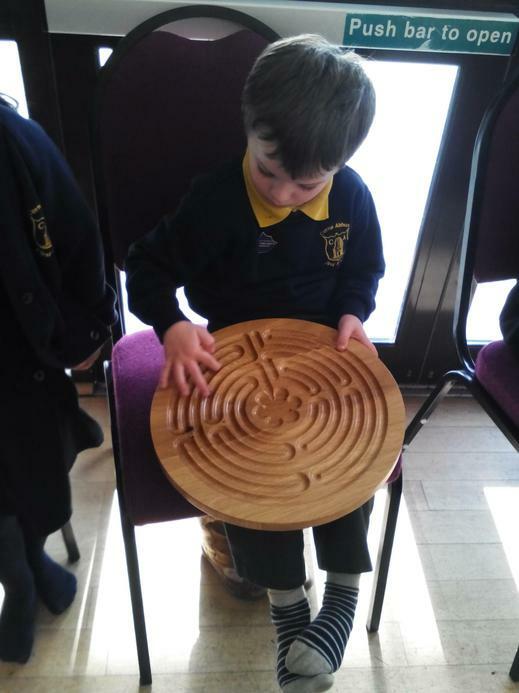 Giant Class listened very carefully to their presentation and could tell me the difference between mazes and labyrinths straight away when we returned to the classroom. 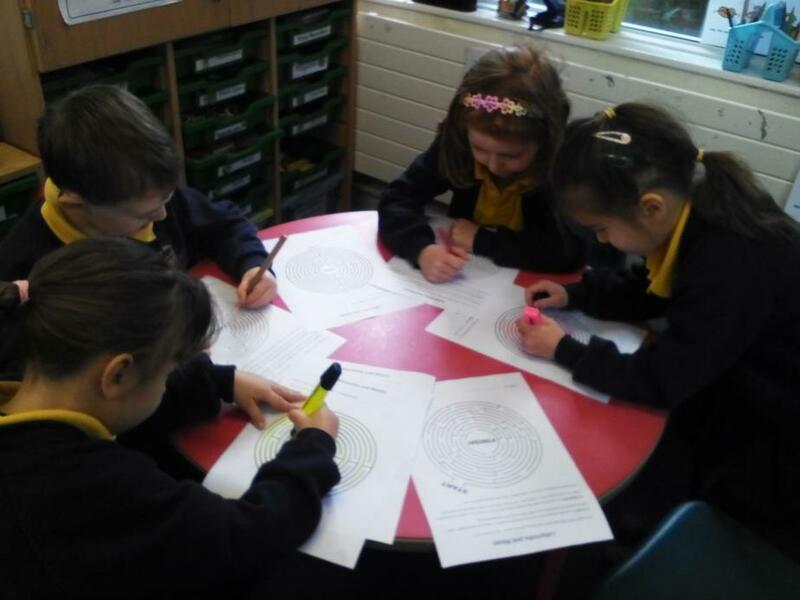 Using their resources we talked about why labyrinths can help us. 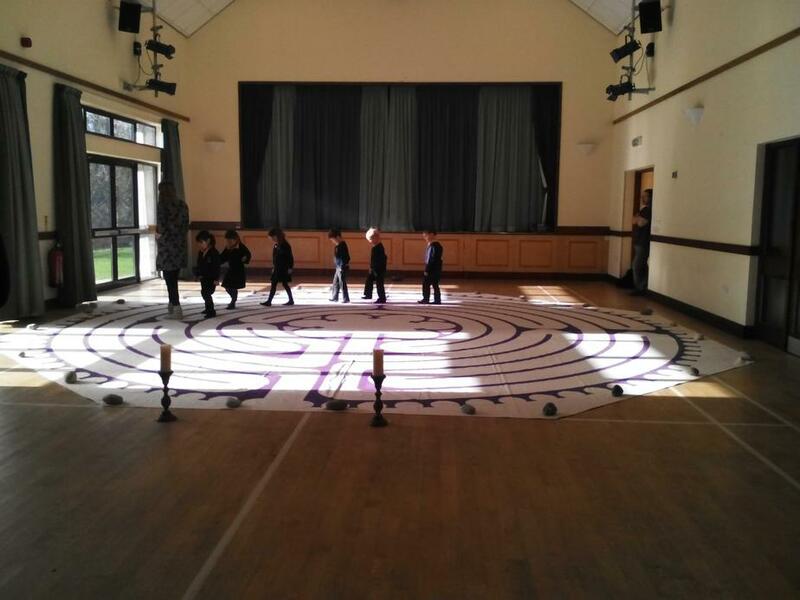 We all talked about being quiet and calm so that we can hear our ‘wise voice.’ Giant Class went to the village hall to walk on the labyrinth and it was wonderful to observe. 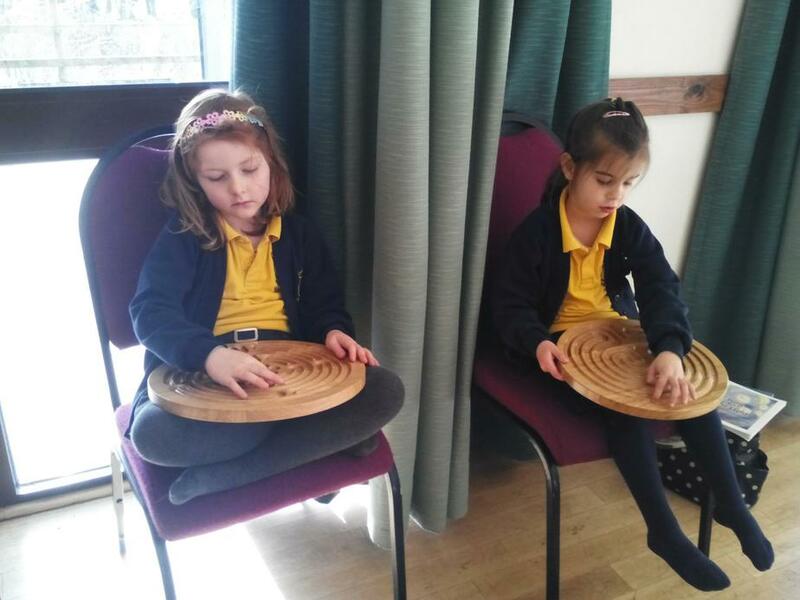 All of the children were quiet with music on in the background. 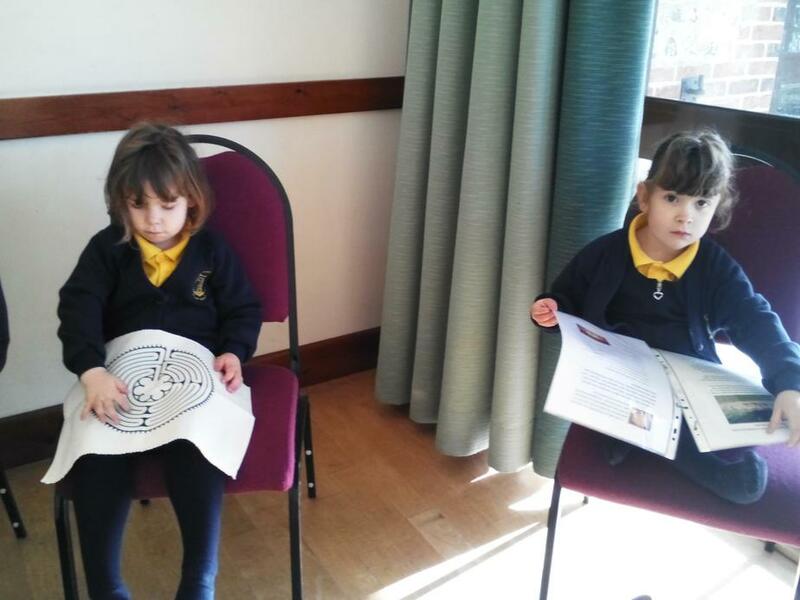 You could see that they were all moved by the experience were all very considerate. 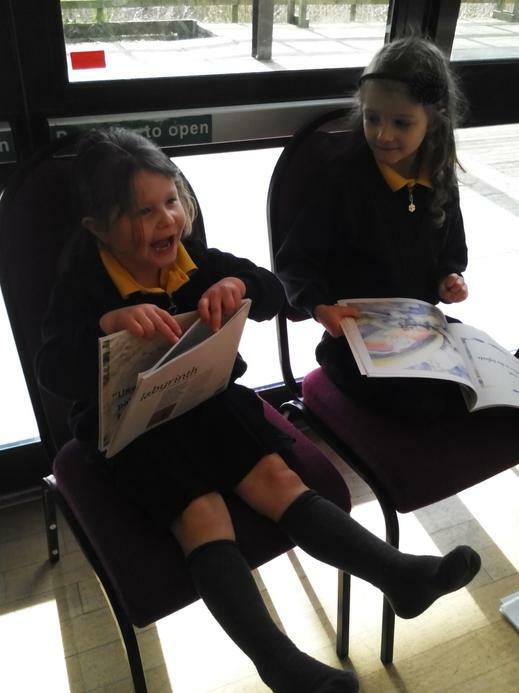 Their reflections afterwards were wonderful and showed that the experience had a huge impact on all of them. 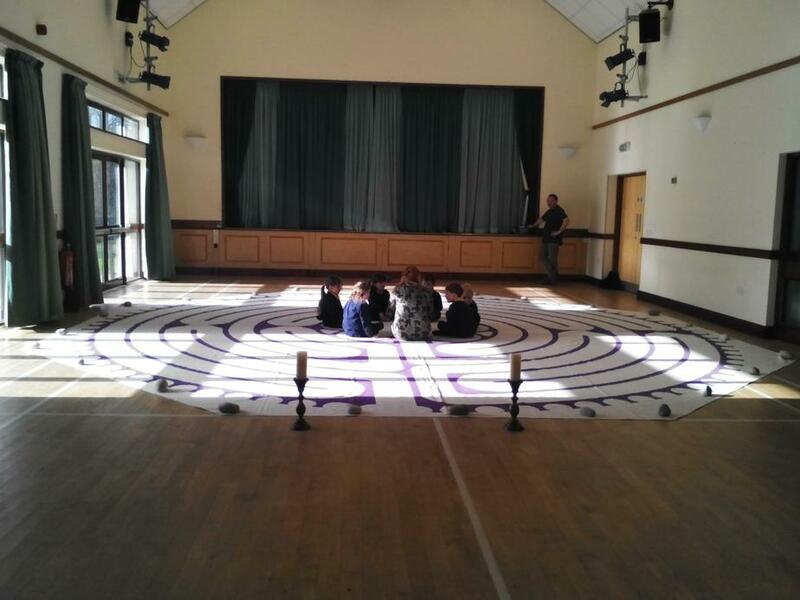 I hope they came home and told you all about it.